There’s an old story about Ben Franklin learning the wisdom of trying to polish a freshly forged shovel to shiny newness. He questioned why the shovel was brown and ugly. The blacksmith set him to polishing it to make it more aesthetically pleasing. A few hours later, he understood why the ugly shovel was just fine. A lot can be said for that sort of wisdom. It’s sort of like when I approached the forge at the renaissance festival. A short time later, I understood why he uses an electric blower and why it’s important to moderate your mead intake. No tool is more valuable in your garden than a simple spade. They last for years. Spades are like cars, in a way. Buy a new one and you get to break it in and enjoy that shiny new feel. Find one at a garage or an estate sale and you can take advantage of the depreciation realized when the first owner took it home from the store. In our region of upstate New York, the going garage or estate sale price for a spade is $4. A high quality replacement at the hardware store is $20 or so. 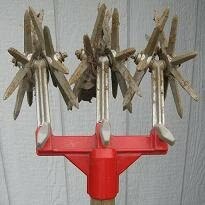 A digging fork is almost as valuable but can cost $50 or more. Seek the drop forged kind, not the cheap one with welded tongs. A good fork can be had second hand for the price of a shovel because they seem the same aft er few years of use. At the store, never buy the cheapest tool on the rack. The plastic handle on that shovel is guaranteed to snap five or six years from now. Hence, the $15 shovel will be gone from service and replaced with another $15 shovel while the $25 shovel remains in service. To quote arts and crafts maven Elbert Hubbard, it’s not how cheap but how good. A few years ago, fiberglass handles were all the rage in digging tools, with a 10-year warranty. The one I proudly bought snapped this spring. There were none similar at the store when I went back for a replacement. The proprietress gave me one with a wooden handle as a replacement, no questions asked. As winter sets in, scrub down your favorite digging tools with a wire brush, some sandpaper or soap and water. Use a file to give it a new beveled edge. You can even sharpen the points on your favorite digging fork. Think of it as changing the oil on your car. A cleaner, sharper tool is easier to work with and guaranteed to last longer. Most importantly, take a moment to think about how simple and effective that shovel is. It’s not all that different from the one Franklin wrote about so very long ago. That`s 4 packs of seeds every month for half the price! These offers expire on November 30, 2010! So Don`t miss out! NOTE: These offers are only available on Black Friday and Cyber Monday. They can not be combined with any other promotion or special offer. Limit 3 offers per household. No Rainchecks. This offer MUST be purchased online. NOW THROUGH CHRISTMAS, $0.49 ON SELECT SEEDS!!! From now through Christmas we have placed select seeds on sale for $0.49 per pack! 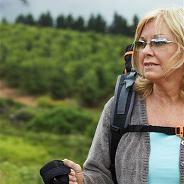 There is no limit on the number of packs you can buy and all orders over $10 receive free shipping. This special is for a limited time and when December 26th arrives....this special will be over. So get your seeds today! 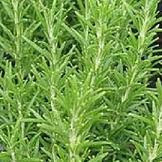 Shop in our online Store today at http://www.averagepersongardening.com/ ! If I have to describe an aphid by any other name, that name would be, annoying. 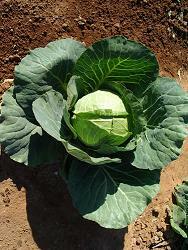 They are the most common issue in all home vegetable gardens because they thrive in a variety of climates, reproduce quickly, and can do massive amounts of damage. 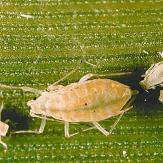 Failure to tackle your aphid issue head on could result in a less than an adequate harvest or no harvest at all. Aphids attack just about every plant that you have. In fact, after I did some research for this article I could not find a single plant grown in a home vegetable garden that an aphid did not call lunch. They come in a wide range of colors and sizes, most notably white and pear shaped. They reproduce asexually and because they do so, the rate of reproduction is tremendous. The home vegetable garden is the perfect location for aphids to thrive because there are plenty of leaves and soft stemmed plants to “chew” on, which is perfect for them. Aphids will remain in an area of a single plant until either the plant is no longer providing adequate food or the aphid population increases to where they are overcrowded. They will then form wings, fly away and start the process all over again at the nearest plant. This process will continue until either all the plants are gone or you deal with the situation at hand. There are some great solutions you can use and when applied in conjunction with one another, your aphid problem will clear up that much quicker. For starters do not be afraid to use some yellow sticky traps. Sure you might get a few other insects you weren’t counting on, but they do a great job attracting aphids. You can pick up a three pack of yellow sticky traps at your local home center for less than two dollars. Next use some neem oil soap. It is harmless to humans, pets and your vegetation. It does a nice job in prevention. A garlic or hot pepper spray will work just as well as neem oil soap but must be reapplied after heavy watering and your fruits and vegetables should be rinsed thoroughly. The best solution is also the easiest and safest. Ladybugs! They eat aphids and they eat their bodyweight in a single day. Ladybugs can be purchased for about fifteen dollars for about 1000 of them from a local garden center or online. As long as there are aphids, the ladybugs will stay until the aphids are gone. You can also grow some fennel which attracts ladybugs, but that will take a bit longer than simply buying “ready to go” ladybugs. If you have aphids you need to solve that problem head on. Use some of the ideas that I have talked about and you are sure to be well on your way to an aphid free home vegetable garden. When you hear the word greenhouse, the first picture that probably pops into your head, are those large buildings and structures mostly used by local garden nurseries and farms right? However, a greenhouse can come in all shapes and sizes, more on that in a moment. First let’s talk about what a greenhouse is and how it works. A greenhouse, in its simplest definition is a container where plants will grow. They protect plants from various weather elements such as cold temperatures. A greenhouse allows sunlight to enter the container creating thermal energy and thus heating up what’s inside. When the sun goes down that creates a condition where the greenhouse is no longer producing heat since the sun’s rays are not shining through anymore. Now comes the beauty of a greenhouse. As the heat is created during the day, and taking into account that you have decent soil for your plants, that soil will absorb the thermal energy and will then release that thermal energy later on as your greenhouse needs it when the sun is not shining through. As a word of caution it is possible to “cook” your plants if your greenhouse becomes too hot. In some greenhouses you will see vents which will open when the temperature inside the greenhouse gets too hot. That goes beyond the scope of this article as being a more advanced topic of greenhouse construction. I mentioned earlier that greenhouses come in all shapes and sizes and for our efforts as home vegetable gardeners this is a good thing. You can create a relatively small and effective greenhouse that can sit on your window sill at home. Here is how you can create a basic, small, yet excellent greenhouse to use. The next time you are the supermarket, look in the yogurt isle. Find a yogurt that you like that also contains a clear plastic lid. After you consume the yogurt, clean it out (soap not necessary). Poke some holes in the bottom for drainage and fill the yogurt cup with potting soil. Now plant the seed of your favorite plant in the soil, add a little bit of water and put the clear plastic lid on top. Place the soil filled yogurt cup on a window sill that receives sunlight first thing in the morning. You have just created the simplest form of a greenhouse. Just make sure you have the yogurt cup sitting on a plate to catch the drainage of the water. As you can see this greenhouse example is as basic as it gets. As you become more comfortable with this process, continue to improve on advancing your skills by creating bigger greenhouses, if the space permits. A greenhouse gives you the ability to begin growing your plants earlier in the season and allows you to extend your growing season when the temperatures begin to drop. Give it a try. You won’t be disappointed. One of the greatest things about speaking with 13,000 other vegetable gardeners on our Facebook page, besides being around like minded people, are the wonderful ideas everyone shares. Whether they are new to the activity of vegetable gardening or have been doing it all of their lives, I always learn something new. 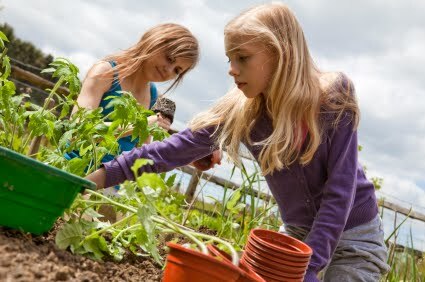 When it comes to the new vegetable gardeners that come to our page to seek out support, the theme is common among them all and that is, “how do you get started?” and “what do I need?” One sentence sums up both questions and that is “keep it simple.” Too elaborate on that, I have outlined some common answers to these two popular answers. 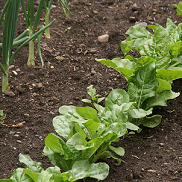 Start with picking the area where you are going to grow your vegetables. It doesn’t matter whether you have a twenty by twenty plot of land or you are going to grow your tomatoes in pots, you want to pick an area that receives at least 8 hours of sunlight and is within reasonable distance to a water source. Without going into an entire botany lesson, just know that without sun and water, your plants won’t grow. As an added bonus, if you can pick an area that meets the previous requirements and that you can easily view through a window, it will make maintaining your garden easier since you will always see it. The next step is your soil. It is a step most people look past since everyone just figures you can throw in some seeds and the plants will grow. While most of the time that is true, you have to ensure the soil you are putting your plants in will have all the nutrients they need to survive and produce tasty fruits. 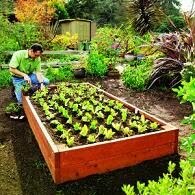 There are a variety of methods you can implement such as composting, adding in manure and so on, but for the simplicity of this article, until you become more comfortable with vegetable gardening, invest in some garden soil from your local home or garden center which costs about eight dollars for a fifty pound bag. Mix in the garden soil with your regular dirt if you are using a plot of land, or use all garden soil in your pots. 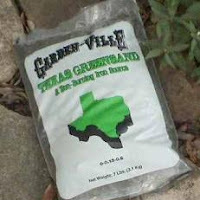 This garden soil is filled with all of the nutrients your plants need to grow. Finally you will need some tools. You won’t be able to mix in the garden soil from the previous step without a shovel, pitchfork or some kind of trowel. These are the three most basic tools a gardener can have. A pitchfork allows you to turn your soil over and mix the dirt, a hand trowel makes it possible to dig smaller holes to put your plants in and a rake gives you the ability to “smooth” over the dirt. If you have these three tools then you have everything you need to get started. You might be able to find some used ones at a yard sale or flea market for half the cost of buying new. Now go buy the seeds you plan on planting for your new garden and get your hands dirty. You will find, like 48 million other people from around the world have found, that growing your vegetables is a lot of fun and rewarding. Michael C. Podlesny is a contributing writer for Mike the Gardener Enterprises, LLC the exclusive home for the Seeds of the Month Club. Enter the word article in the referral code box and receive a 50% discount on the price of any membership. November is the month when true gardeners hide their secrets. Somewhere in the home, hidden away, diehard gardeners have a stack of books full of details about how to improve their craft. With luck, next years produce will out due their every dream. Longing for the warm weather, eager gardeners fantasize about squash and pumpkins, cucumbers and zucchini, onions and tomatoes. Tomatoes. The friendliest vegetable in the garden, eager to impress the newest converts to the fertile soil and anxious to thwart the most seasoned veterans. Tomatoes judge no man, no woman. The bear fruit for all. Tomatoes have no favorites. They can always produce more if a devoted gardener knows how to speak their language. Growing healthy, vibrant tomato plants takes a level of planning of which many gardeners are unaware. As the plants grow tall, most people are familiar with the idea that their vines will need tomato cages. However, many people do not how much support is too much and how much is not enough. Discerning the right fit for a tomato cage requires an understanding of these plants and how they grow. The tomato, though not technically a vine, is often referred to as one. 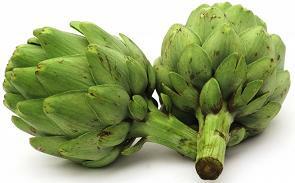 It is referred to this way because without a support system, the stalks become too heavy as fruit ripens. Eventually the plant will sprawl out on the ground leaving the tomatoes susceptible to predation. 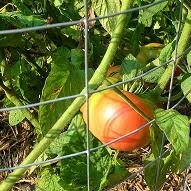 Protecting tomato plants from having their buds eaten and the fruit destroyed requires a gardener to cage the plant. The cage system helps to keep the stalks upright and gives each branch a place to rest as large buds blooms at its tips. If a cage is too tight, the fruit bearing is dwarfed. If the cage is too loose, plants may grow in girth and neglect to produce high quantities of fruit. In order to keep the plant producing, gardeners need to construct cages for their plants. Plants that bear large fruits, such as Beefsteak Tomatoes, benefit from wide rimmed, upright cages. Smaller fruit producing plants such as Cherry Tomato varietals thrive with narrow, diagonally staked cages. Every tomato plant will grow tall. With the right soil balance, they will produce plentiful supplies of ripe fruit. Because of this, many gardeners will never realize that they may be suffocating the full potential of the plant. If gardeners want to stop hindering their plant’s growth, they can make an effort to supply the plants with proper caging for maximum production. One technique that works well for ambitious gardeners is to custom design expandable cages. Expandable cages are easy to build. Gardeners can go to a local hardware store and purchase a roll of tall caging wire. They should then cut the wire—using tin-snips—into six to eight foot lengths leaving the excess of the cut end free. The excess tail on the cut edge can be used to secure the cage to itself. In the beginning of the year, when a plant is small, the cage should be secured in a small loop with the leftover material hanging away. As the plant grows, gardeners can continue to increase the width of the cage to encourage radial growth. The process of expanding custom made tomato cages will help plants to grow wide, tall and strong. Many more stalks will shoot up from the ground if a plant is allowed the space, while a great deal of fruit will be produced with the support of the caging wire. If gardeners still want a wider base, they can clip the first round of fruiting buds. This will encourage the plant to root more deeply and send more stalks through the soil. It may be a long while yet, until the fruits of spring can be buried in soft soil, but dreaming of next year’s garden is to be expected. In the hopes of a hard freeze to replenish the soil, gardeners bundle up with jackets and mittens and walk the rows of the ground that lays fallow, eagerly waiting for April’s warm welcome. Jody Sperling is a contributing writer for Mike the Gardener Enterprises, LLC the exclusive home for the Seeds of the Month Club. Enter the word article in the referral code box and receive a 50% discount on the price of any membership. Although the larvae of insects can come in many shapes and sizes, the one we home vegetable gardeners come across quite frequently and refer to as grubs are the white semi-circular variety. They are the larvae of a different variety of plant destroying insect such as Japanese or June beetles. White grubs, also known as scarabs, feed on organic matter and the roots of your plants. If left unattended they could destroy your crop at the root level and when they become adult beetles can damage the foliage of your plants. Grubs also lead to another issue that could lead to even more problems in your home vegetable garden. Moles! I receive questions all the time about people who have a mole problem in their vegetable gardens. The problem is not the moles. The problem is the grubs. Moles eat grubs. It is their food of choice and if they find an area that has them, chances are that is where they will stay. Forget about getting rid of the mole itself. You must eliminate its food source, the grub. There are a number of insecticides and/or pesticides that can treat your area for grubs, but as for me, I’d rather not use these in my vegetable garden where I will be growing food. 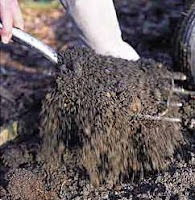 If your grub problem exists under your lawn, then it might be ok to go ahead with one that is recommended by your local garden nursery, but for us vegetable gardeners, milky spores is the way to go. Milky spores are a soil dwelling bacterium. It is responsible for a disease in white grubs of beetles called as you might guess, milky spore. Milky spores are readily available at many home and garden centers and of course for sale online, and prices range anywhere from $15 to $90 (US) depending on where, how much and when you buy it. The ideal time to apply milky spore to your soil is when the grubs are closest to the surface. This occurs not too soon after they hatch. As weather gets colder grubs will move deeper into the soil to escape any frost or freezing. In most areas of America the best time to apply milky spores to your soil is in August when the grubs will be closest to the surface. Milky spores is naturally occurring in the environment to white grubs so it is not harmful to beneficial insects, other animals, your food crop or you. All you are doing is introducing your pesky grubs to it. Here is how it works. You apply the milky spores to your soil as per the instructions on the container you purchased. The grubs will swallow the milky spores through their regular means on food consumption. The spore will then activate reproduction using the grub as a host. Within 21 days the grub will die. Now here is the best part. Upon the death of the grub as it decomposes, the milky spores are then released back into the soil looking for more grubs. Therefore, one application per every other season depending on the size of your garden should be enough. If you have a problem with moles in your area, know that the problem is not the mole but its food source, the grub. Get rid of the grubs and you will get rid of the moles. Can Your Turn Your Home Vegetable Garden into a Permaculture? Did you ever think you can turn your back yard into an area that provides not only food for your family but a sustainable living environment for other animals and creatures? In its simplest definition, that is what a permaculture is. Read on as Mike gives you some more information on the topic. Wikipedia defines a permaculture as an approach to designing human settlements and agricultural systems that mimic the relationships found in natural ecologies. Yes I know, that is a mouth full. However, simply defined, a permaculture, as it relates to your back yard home vegetable garden means, creating a system where plants, animals and the waste thereof all work together to make the system work. For example, you can have chickens living among your vegetable plants. They can eat various insects which in turn allows you to reduce the use of chemicals to treat your plants for those insects. The chickens then leave behind their waste that can then be later tilled under to make your soil more nutrient rich. The vegetable plants that you add to your garden can also be used as shelter and protection for “good” insects, toads, and other animals that assist with making your home vegetable garden a success. There is no question that a permaculture is a lot of work. Or at least it can be when you first make an attempt at it. That is why many experts recommend that you start off slowly. One good technique is to use rabbits. House your rabbits in a cage that sits over top a worm box for vermicompost, more on that in a moment, or your garden soil, with a floor where the rabbit droppings fall through. 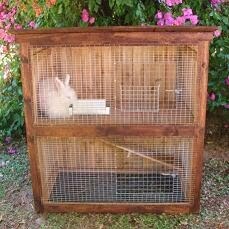 You can till the rabbit waste directly into your soil, which provides much needed nutrients for your plants. 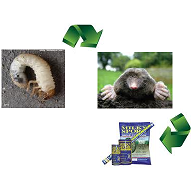 Vermicomposting is the process by which worms break down waste leaving behind their castings. Their castings are also called vermicompost. Vermicompost is one of the best sources of nutrients for your plants. If you have been using worms to create your own vermicompost you already have the beginnings of your own permaculture. You (or your rabbits) provide the waste for the worms, they provide the nutrients for your plants and then the cycle repeats itself. There are countless options that can make a backyard permaculture work with the inclusion of other animals likes chickens, goats, and so on. Make sure you check with your local municipality as to what is allowed in your area and what is not. You may like that rooster waking you up when the sun rises, but your neighbor? Not so much. Your permaculture is also not limited to the use of animals. Trapping rain water in a rain barrel for later use can be added in and I have seen some setups that use solar panels to run a pump, that pumps the water from those barrels through soaker hoses. That’s a bit more advanced than many like to get, but it gives you a couple of ideas that you can toss around. 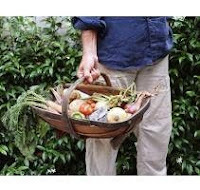 Start off slow with the basics, then expand as you learn more, get more advanced and understand how a permaculture can work for your back yard vegetable garden. Growing tomatoes from seeds is easy. It just takes planning and a bit of persistence. Here are the top ten tips you need to know to grow healthy tomato seedlings. Take time to find out about different tomato varieties. Grow types that are suitable for your climate and soil conditions. Ask local gardeners and nursery workers for recommendations. You can also gauge your selection on whether you’ll set plants in the garden or grow them in containers. Check your local frost dates. Start tomato seeds about 6-8 weeks before it’s safe to set out plants in the garden. This allows time for germination, re-potting, and hardening off. What’s most important no matter what type of container you use is that it is clean. Wash cells, cups, or trays in a light bleach solution before filling with potting soil. Make sure containers have holes in the bottom for drainage. The starter mix’s main jobs are to get the seeds to sprout and to keep them disease-free until they have 2 sets of leaves. The best choice is a sterile potting mix, rather than soil from your garden, which is packed with fungi and bacteria. Choose a potting mix that is lightweight, holds water, and is light on fertilizer. Moisten mix before planting seeds. Use a pencil to poke a small hole for each seed. Plant a seed at a depth 4 times its diameter. Cover seeds with pinches of moistened soil. Place containers in a sunny window or under grow lights. Tomato seedlings need 12-16 hours of light a day. Mist or water them regularly but don’t overwater or roots will rot. Tomato seeds sprout in 5-10 days. 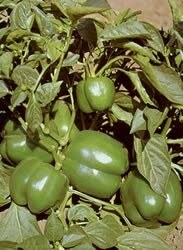 Once tomato plants have 2 sets of leaves, move them to a larger pot to help them build strong root systems. Tomato seedlings are subject to damping off (cause: fungi in the soil), leggy growth (cause: poor lighting; too much heat or fertilizer), slow growth (cause: too cold; need for fertilizer), seed rot (cause: overwatering), or stuck leaves (cause: natural). 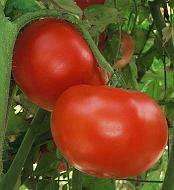 To head off problems, plant tomatoes in sterile soil. Monitor them diligently and keep an eye on conditions – regulate air temperature, water, light, and fertilizer to keep seedlings healthy. About 7-10 days before planting tomato seedlings outdoors, acclimate them to temperatures, sunlight, and wind. Place them outside in shade or a protected area for a couple of hours, gradually increasing exposure until you can keep them out overnight. Kathy Widenhouse is a contributing writer for Mike the Gardener Enterprises, LLC and owner of Tomato Dirt (http://www.tomatodirt.com/), a leading source for information on growing tomatoes and using them. With an estimated 25,000 tomato varieties, it can be intimidating to choose which ones to start and grow in your garden. But by asking yourself these few simple questions you can figure out which tomato varieties will work for you. Do you want to pick tomatoes all at once (for canning, freezing, and drying) or throughout the summer to enjoy with meals? Determinate tomatoes produce fruit for a couple of weeks and then fade out. They are a good choice if you want to preserve quantities to use over the winter. Indeterminate tomatoes, on the other hand, produce fruit throughout the season, often until frost, and provide a steady supply of fresh tomatoes for your kitchen table. A mix of determinate and indeterminate tomato varieties means you can have tomatoes now, enough to preserve, and plenty to eat later, too. Do you prefer a particular size or shape of fruit? Beefsteak tomatoes are the biggest fruit, used for slicing and sandwiches. Globe tomatoes are the most heavily commercially-cultivated fruit. They are used for eating fresh as well as canning, freezing, and drying. Paste (or Roma) tomatoes are thick-walled fruit used to make sauces. Cherry and grape tomatoes are the smallest fruit and are used for salads and snacking. Do you want early, mid-season, or late fruit? 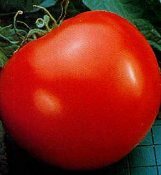 Tomato varieties mature anywhere from 48-95 days. By checking a tomato’s “days to maturity” number, you can choose those that ripen quickly along with those that take longer. A selection of different varieties means you can harvest fruit all season long. Some tomato varieties flourish in heat and humidity, while others grow particularly well in cooler areas. Maximize your crop by choosing varieties that are known to thrive in your climate. Do you have time to monitor your plants throughout the summer? While you can’t control the sun or wind, you can control the amount of water your tomato plants receive. Consistent watering is an important key to healthy tomato plants. It’s simple to achieve when you know where, when, how, and how much to water tomatoes. Water tomato plants during the day. Some gardeners prefer morning watering to fortify plants for the heat they’ll endure as the day wears on. Others water when the sun is high as a way of cooling leaves. But which ever you choose, on one point gardeners agree: avoid watering tomato plants in the evening. Leaves that are wet overnight are susceptible to the spread of fungi and other diseases. Water slowly. Let water sink into the ground to help plants develop strong roots. Hand-watering and drip irrigation are more effective than overhead watering. When the soil surrounding your tomato plant is moistened 6-8” deep, you’ll know you’ve done your job well. Consistent watering produces stronger plants and larger fruit. Water newly-planted tomatoes at least a quart for 7-10 days. In the height of summer, water plants 2-3 times a week. (Rainfall counts.) Later when temperatures cool, scale back to once a week. Kathy Widenhouse is a contributing writer for Mike the Gardener Enterprises, LLC and owner of Tomato Dirt (http://www.tomatodirt.com), a leading source for information on growing tomatoes and using them.